Clarity on terminal dues impact as international mail margins affected. Look forward to a better FY19F. Declared final dividend of 2 Scts (total dividend of 3.5Scts, unchanged from last year). Maintain BUY, Target Price revised to S$1.55 on lower earnings. Postal operating profit is bottoming out, maintain BUY with revised Target Price of S$1.55. international mail volume from eCommerce continues to accelerate. SPOST has also demonstrated strong execution by narrowing losses at TradeGlobal, which we project to achieve breakeven in FY20F. While competition is still intense in the logistics segment in Hong Kong, it should benefit from growth in Singapore. SPOST eCommerce-related revenue grew 27% y-o-y and now forms c.60% of total revenue. With c.3% yield with FY18-20F earnings CAGR of 14%, SingPost is a unique play on Ecommerce-logistics growth in Asia. We maintain our positive view over the long-term growth outlook for SPOST. We believe that SPOST, being the dominant player locally with low cost of capital, is well-positioned to establish market leadership in Singapore’s fragmented eCommerce logistics sector (~20% market share in parcels). Our earnings estimates are above consensus currently. In the near term, any turnaround at SPOST’s eCommerce and logistics segments would be a major catalyst for its share price. In the medium term, we believe the potential divestment of SPC mall could be a catalyst. Impact of higher terminal dues (increase in international small packets postage rates cannot negate rise in terminal dues) and further escalation of eCommerce losses could depress SPOST's bottom line in the medium term. The opening of Alibaba’s regional logistics hub also posts downside risk for SPOST. Revenues continue to grow; underlying net profit declines on lower operating profits. 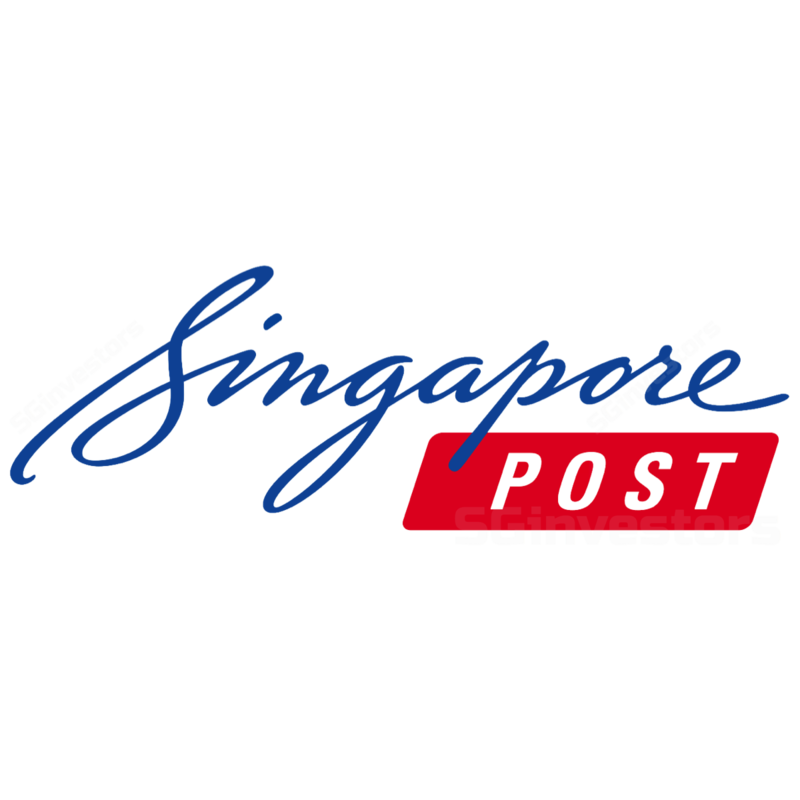 Singapore Post (SPOST)'s headline revenues continued to see healthy growth of 13.5% y-o-y to S$367.5m (-11.0% q-o-q as the last quarter saw peak demand) across all three segments. NPAT came in at S$20.5m, reversing from a loss last year. However, adjusting for gains on one-off and exceptional items, including S$12.7m fair value gains on investment properties, underlying net profit declined to S$15.3m (-28.6% y-o-y, -43.4% q-o-q). Notably, higher professional fees and lower gains on trade-related foreign exchange differences have also impacted operating profit for 4Q18 by c.S$9.4m. More clarity as terminal dues impact kicked in during the quarter; possible bottoming out of postal operating profit. Postal segment revenues continued to see strong growth on the back of international mail volumes, coming in at S$161.7m (+18.2% y-o-y, -2.6% q-o-q). Changes in international terminal dues took place from Jan 2018 and impacted the margins for international mail as the industry went through a period of adjustment during the quarter, even as SPOST increased postage rates for international small packets previously. The quarter saw sharp decline in operating profit margins to 20.5% (4Q17: 26.9%, 3Q18: 24.2%) while operating profit declined to S$33.2m (-9.8% y-o-y, -17.2% q-o-q). Mitigation measures put in place during the quarter as a result. According to management, several mitigating measures were put in place during the quarter, such as price increases in certain mail segments and geographies, as well as increase in bilateral negotiations with various entities. SPOST expects that the full extent of the measures will be seen progressively in the new few quarters. Logistics segment saw better contributions from last-mile entities. Revenue grew 2.1% q-o-q and declined 9.2% y-o-y to S$157.9m as last-mile entities (Couriers Please, SP Parcels, Famous) saw better performance against revenue decline in Quantium Solutions. Operating profit improved to S$5.3m during the quarter (+103.8 y-o-y, +8.2% q-o-q). There continued to be competitive pressures for Quantium Solutions in Hong Kong which is likely to be sustained in the near future. The eCommerce Logistics Hub saw improved utilisation at its warehouse to 96% (3Q18: 87%). eCommerce on track for improved performance. While the eCommerce segment’s operating losses widened from S$3.8m in 3Q18 to S$5.8m this quarter, the second consecutive quarter, revenue continues to grow to replace loss of two major customers a year ago. TradeGlobal continues to add customers over the course of the year as it lost two major customers last year. Management has indicated that on a year-on-year basis, losses have narrowed and it is on track to execute the turnaround business plans for TradeGlobal. SingPost Centre retail mall saw higher committed occupancy. Committed occupancy improved from 85.9% in 3Q18 to 95.6% in 4Q18. We estimate the mall to generate ~S$19m per annum (operating profit level) going forward. SPOST has declared a final dividend of 2 Scts this quarter, bringing total dividends for full year to 3.5 Scts, unchanged from last year. Postal remains key segment to watch. We believe that with the roll-out of the various mitigating measures, SPOST may see another one to two quarters of volatility in postal operating profit before it stabilises. For the full year, international mail revenues saw an accelerated growth of 37.4% (FY17: 17.4%) against an accelerated decline in domestic mail of 6.6% (FY17: 5.4%) and we forecast growth to continue at c.30% in FY19F against domestic mail’s declining revenue of c.9%. In the meantime, we believe SPOST is continuing to drive cost leadership across its various entities and this is likely to translate into operational efficiencies. Maintain BUY, revised Target Price of S$1.55. We maintain our BUY call on SPOST with revised Target Price of S$1.55 as we reduce our earnings for FY19F/20F by 9%/4%, reduce our operating margin assumptions for the postal segment and envisage operating breakeven for the eCommerce segment to be in FY20F instead of FY19F. The stock is currently trading at c.23x forward PE which is near -2SD of its 4-year mean (since the start of its business transformation), supported by c.3% yield with FY18-20F earnings CAGR of 14%.